‘The Enemies of Reason is a two-part television documentary, written and presented by evolutionary biologist Richard Dawkins, in which he seeks to expose “those areas of belief that exist without scientific proof, yet manage to hold the nation under their spell”, including mediumship, acupuncture and psychokinesis. The documentary was first broadcast on Channel 4 in the UK, styled as a loose successor to Dawkins’ documentary of the previous year, The Root of All Evil?, as seen through the incorporation of brief clips from said documentary during the introduction of the first part by Dawkins. The first part aired 13 August 2007 and the second on 20 August 2007. It includes interviews with Steve Fuller, Deepak Chopra, Satish Kumar, and Darren Brown’. Over 8 million of us have consulted psychic mediums. ‘Ateizm Dernegi Yönetim Kurulu üyesi Zehra Pala (Lakshmi), derneğimizin web sitesine erişimin engellenmesi üzerine 4 Mart 2015 tarihinde CNN Türk kanalında yayınlanan Mirgün Cabas ile Her Şey programına katılarak konuyla ilgili sorulara yanıt verdi’. ‘In 1998, says Monica Lewinsky, “I was Patient Zero of losing a personal reputation on a global scale almost instantaneously.” Today, the kind of online public shaming she went through has become a constant. In a brave talk, she takes a look at our “culture of humiliation,” in which online shame equals dollar signs — and demands a different way (20 March 2015)’. The online database of biographical details of over 40,000 people of note, the Notable Names Database or NNDB reports that in “June 1995, when Lewinsky landed her internship in White House Chief of Staff Leon Panetta’s office, she reportedly told friends, “I’m going to the White House to get my presidential kneepads.” According to Linda Tripp’s famous recorded phone calls, Lewinsky bragged of satisfying President Bill Clinton’s needs as early as November of that year. Within weeks of her first presidential tryst, Lewinsky left her unpaid internship in Panetta’s office to take a paid position in the Office of Legislative Affairs. Her official duties involved sorting incoming letters from members of Congress and bringing them to the Oval Office. By April 1996, Lewinsky had been transferred to a job in Pentagon spokesman Ken Bacon’s office, but she continued making “regular visits” to the White House. 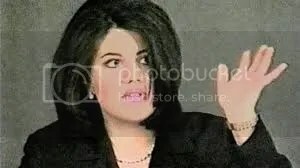 Tripp, Lewinsky’s alleged friend who had secretly taped Lewinsky talking about her sexual exploits, took those tapes to Newsweek reporter Michael Isikoff and conservative mother & son columnists Lucianne and Jonah Goldberg. From there, the tapes made their way to Paula Jones’ attorneys, who subpoenaed Lewinsky’s testimony to show Clinton’s ‘predatory pattern’ for their sexual harassment suit against him”. ” Monica Lewinsky” NNDB. http://www.nndb.com/people/588/000025513/. ‘North Korea has becoming increasingly isolated under a series of international economic sanctions. The country is in financial straits. How has the Kim Jong Un regime managed to stay in power? Our interviews with people who were once high-ranking officials in the leadership inner circle and investigation in several countries revealed the existence of secret funds that only the supreme leader can freely use. The program will explore connection between power and money in North Korea (8 Feb 2015)’. 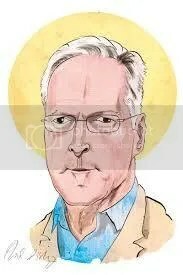 In February 2002 ‘Richard Dawkins urges all atheists to openly state their position — and to fight the incursion of the church into politics and science. A fiery, funny, powerful talk held in Monterey (Published on 15 June 2012)’. 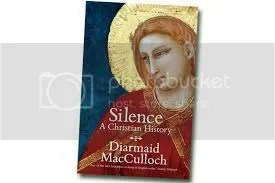 ‘Diarmaid MacCulloch’s 2006 Gifford Lectures Silence take a cross-section of Christian history, examining the theme of “silence” as a moral and spiritual act. Silence here stands in a dialectical relationship with “speech”, and acquires a wide range of different meanings and applications’. ‘Ayda Erbal, an adjunct professor of politics at New York University, presented a paper, “Lost in Translation: The Monument’s ‘Demolishing’” at the conference The Armenian Genocide’s Legacy 100 Years Later at the Hague. The conference was organized by Alexis Demirdjian of the Centennial Project Foundation, the NIOD Institute for War, Holocaust and Genocide Studies and the USC Dornsife Institute of Armenian Studies. Published on Mar 9, 2015′. The conference organisers published this disclaimer on the website: “The use of the word genocide is not meant to be determinative of the legal responsibility of parties to the conflict nor is the aim of this project to establish that the 1915-1923 actually constituted acts of genocide. 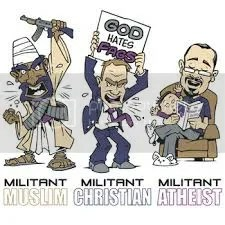 Rather, the word is used as an academic concept since the events are commonly known under this label. The objectives of the Conference and the book are purely academic and are not aimed at promoting activism relating to the proving or disproving that the events which took place between 1915 and 1923 constitute acts of genocide”. “The Armenian Genocide’s Legacy 100 Years Later” Centennial Project Foundation. http://www.centennialprojectfoundation.org/#!conference/cnxv. “The Armenian Genocide’s Legacy 100 Years Later”.